AS SHOWN Bacio candle Otto front view. 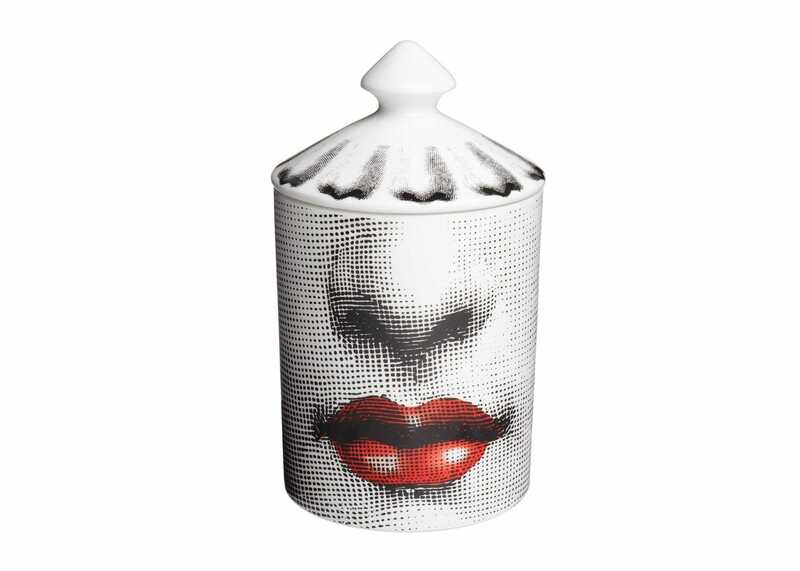 Featuring Italian artist Piero Fornasetti's iconic 'Bacio' or 'Kiss' design, this luxurious Otto scented candle is an essential addition to any artful and stylish home. Oriental, leathery and woody notes combine to make a unique scent that transcends time, season, gender and borders. Allergen free and contains no pesticides. Pure Cotton wick is biodegradable. Up to 60 hours burn time.